I’m terrible at updating this website. So much has happened since Disneyland Half. In January I ran the Dopey Challenge which included my 2nd full marathon. It was an amazing experience running all those races over the weekend in January. To say I am excited is understatement. This is a dream come true. Even if a dream I never knew I had. I started running only to keep in shape. Joined a few races and became obsessed. Took on my first marathon as a challenge to myself that I could. 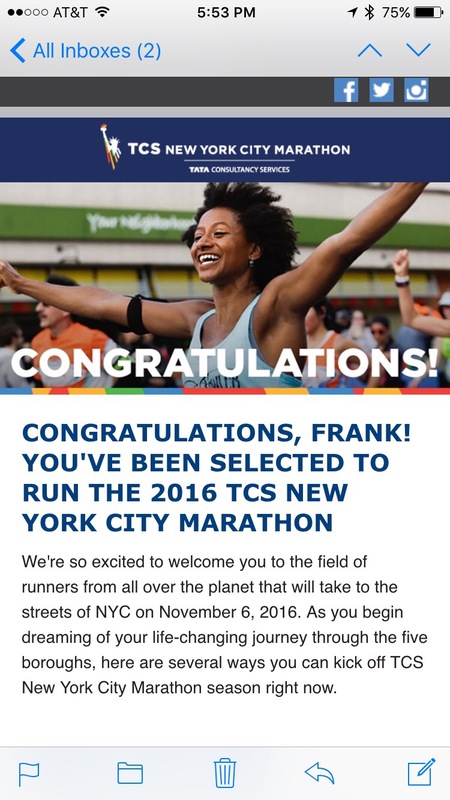 And now that I know I capable of not only one full marathon but TWO! The race is still 8 months away but I will (try) update this page to capture my training and hope that it inspires at least once person that they too can do what they put their minds too! I want to take this race to the next level of my abilities and to help me do that I will be taken under the wing of running coach Kyle Kranz. We’re gonna make this my best running year yet! Also since I’ve been away I got a tattoo to for a constant reminder of what I am capable of. This is my heart rate from the final mile of my last marathon at Walt Disney World. That last mile I gave it my all knowing the finish line was close by. The line “This is my heartbeat song” is from Kelly Clarkson’s song, and gives inspiration to going for the unknown. In the song she sings about “I wasn’t even gonna go out / But I never would have had a doubt / If I don’t know where I’d be now” If I knew how amazing it feels to have now completed 2 full marathons I would have started much sooner.